Touring their ever-popular festive programme, London Concertante travel the length and breadth of the country presenting treats from across Europe to get you in the mood for mulled wine, mince pies, and baubles. London Concertante is one of the finest chamber ensembles in the country, its players brought together through a shared passion for chamber music. The group has the rare ability to combine flexibility of instrumental grouping and consistently maintain superb artistic endeavour. With an enviable array of critical acclaim, a stunning selection of recordings on such prestigious labels as Chandos, Toccata Classics and Harmonia Mundi, and performances throughout the UK and Europe, London Concertante rightfully claims its position at the forefront of classical performers in the UK. With an evening, packed full of all your family favourites, the concert kicks off with the well-known elegance of Strauss’s Die Fledermaus Overture, before a selection of suites and highlights from Tchaikovsky festive ballets. Join the orchestra as they explore the iconic moments of the Nutcracker through the wonder of the Arabian Dance, the delicacy of the Dance of the Sugar Plum Fairy and the romantic Waltz of the Flowers. Accompanied by Brahms’s regal Hungarian Dances, and Schubert’s vastly virtuosic Rondo for Violin, the evening is concluded with another classic, the immensely moving and hugely emotional Blue Danube Waltz, with its spacious and expansive opening. The piece features a remarkably humbling and melancholic melody yet an optimistic accompaniment, in the famous waltz rhythm, that conjure a variety of different emotions for each individual listener, making it one of the most popular pieces in the Classical repertoire to this day. 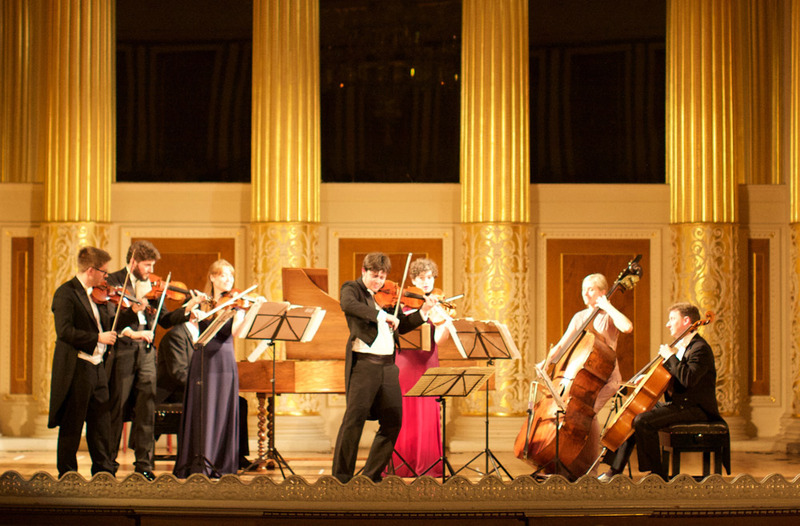 Enjoy London Concertante’s moving rendition as they deliver the emotion and passion that the piece rightfully deserves. Let their masterful repertoire choices, enthusiastic performance style, hilarious anecdotes, and festive attire brighten up your wintery night!